An enchanting quilt of sound and song from many different times and cultures – a Yoruba lullaby – a haunting version of the Kyrie – a tapestry of Jamaican folk song – a Cherokee Indian lament – the spirit of Chalice Well, Glastonbury – the memory of a Golden age. Recorded 2008-2010 Glastonbury and London Voice, Kyma, ambient sounds and percussion. This album has been described as a quilt of pieces ranging from the playfulness of the Jamaica Tapestry to the depth of feeling of the Kyrie Solo. A quilt of music from different parts of the world. It all started with a trip to Glastonbury, recording the sounds of Chalice Well. Then back in the studio in London, mixing the natural sounds with the sounds of chanting, adding the sweeping granulated sounds to create a 15 minute sound experience, unlike anything I’ve heard before, but calming, cleansing, honouring the lady of the well. It was followed by “From the Trail of Tears”, the familiar melody of “Amazing Grace” set in a gyre of swirling harmonies, the words sung in the Cherokee language. Originally sung by the Cherokee First Nation people during the Trail of Tears, the forcible removal from their ancestral lands and the march to a reservation in Oklahoma. Hundreds died and as they were unable to stop and perform the funeral rites, this song was sung instead. It has since become a sort of anthem for the Cherokee, a song of fortitude and the calm determination to survive. Then taken from the album “Gabriel’s Song”, a different version of the Doula’s song “Le Chant de la Doula” in the Yoruba language of Nigeria which is sung by the spiritual midwife while the mother is in labour. A song of comfort and reassurance. This is preceded by the Jamaica Tapestry. Not the Jamaica of bluebeat, reggae and dub but three tracks of Jamaican folk songs arranged in a dreamlike sequence: memories of an island in the sun, of grandmother’s stories, of childhood treats, echoes of distant ancestors, of love and loss. All woven together to make a tapestry of sound and song. The Kyrie is unlike any other setting of these words from the Christian mass. 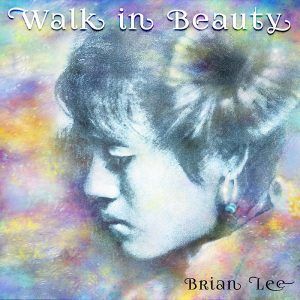 It is a Kyrie for solo voice, a journey through different sound textures and moods, from innocence to the light of wisdom. This is a Kyrie that lives beyond the confines of any religion and belongs to all. This leads into the Golden City. This song in the Hebrew language “Yerushalayim shel Zahav” expresses a yearning for a return to a golden age whose memory we all carry within us. An age free of war and suffering, when there was plenty for all. These are the songs we have drawn from the well, the water that lies within the body of Mother Earth, that is known by every culture and that is essential to life. When you hear Claudia’s voice on this album, you are hearing a voice that carries many voices within it. A voice of depth and richness, sometimes bright and pure, sometimes woody and smoky. A voice that has reached maturity through years of singing jazz and blues. A voice that embodies a wealth of human experience. Just to say thank u for the beautiful cds. i have appreciated every minute of my time listening to them every night. felt soothed and caressed and completely felt at peace after. Very powerful and evocative from beginning to end. In fact, i have to admit, i put them on every night to relax me. At this time in my life, i definitely needed these amazing cds! This piece is so unique that it is hard to find words that adequately do it justice. Words such as “timeless”, “deeply soothing”, “faultless” do come close but with every new experience of this piece one realises how much “The Well” stands on it’s own and sets it’s own standard as a means of healing. 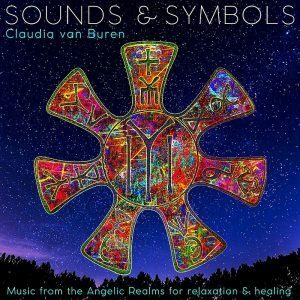 Relaxing and soothing, Claudia has a stunning voice. Listen and listen again, let the music work to un-wind stresses. Would definatley recommend. 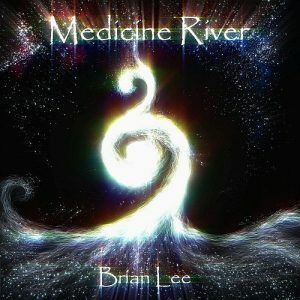 Hi, I have to say that i never listened to this CD I experienced it. This particular combination of sound and voice raised several memories that ranged from painful to poignant. I felt a range of feelings, and allowing myself to go with it has supported me in my healing process. The voice was evocative of many things, it soothed me and ultimately afterwards; taking time, i could place things and put them in there right perspective and acknowledge that some stuff is ok. This CD is proufoundly personal, and of course it depends on where you are in your situation, but in the times we live in, I would say for any age, it is a necessary tool in our box for life.